Harold López-Nussa Trio comes to Baur’s for a special night of fiery Cuban jazz. 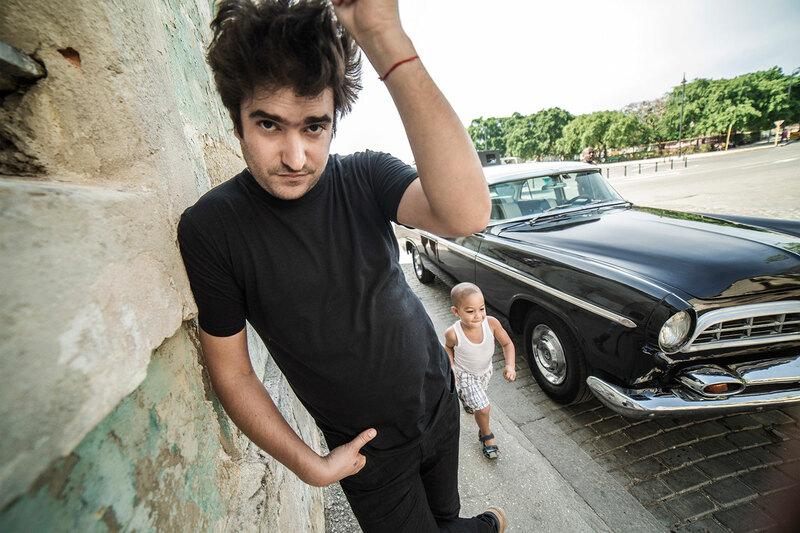 Cuban pianist and composer Harold López-Nussa debut album seems to sway gently like a boat– as if readying for voyage or returning to port – with trumpets and voices whispering memories in your ears. This scene aptly describes López-Nussa’s experiences of traveling throughout the world, yet always finding his way back to his hometown of Havana, Cuba. Music Appreciation Society invites you, your friends, and family to join us at Baur’s for a truly authentic and cultural evening of the sounds of Cuba with the Harold López-Nussa Trio. He has performed at world-renowned venues and festivals such as the Olympia Theater and the anthological New Moring in Paris, Monterey Jazz Festival, Wien Jazz Festival, Montreux Jazz Festival, Montreal Jazz Festival, Marciac Jazz Festival, Oslo World Music Festival, Barcelona Jazz International Festival, North Sea Jazz Festival, Martinique Jazz Festival, Verona Jazz Festival, Oloron Jazz Festival, Jazz à Viennes, Jazz Standard in New York, SF Jazz, Kennedy Center in DC, Cotton Club in Tokyo among many others. With his last album, NEW DAY, the rising star refines his style and adds color to his artistic palette; asserting himself as a stylish composer whose technical abilities are matched only by his powerful playing. López-Nussa is currently touring as a superlative trio comprised of himself on piano and keyboard, his younger brother the phenomenal drummer and percussionist Ruy Adrián López-Nussa, and Senegalese vocalist and bass virtuoso Alune Wade. Combining astonishing gifts and dazzling technique spanning the jazz continuum, the Harold López-Nussa Trio brings an abundance of soul. Join us at Baur’s on this journey of body and spirit and musical exploration where Harold López-Nussa visits various genres and ideas while staying true to his foundational roots.